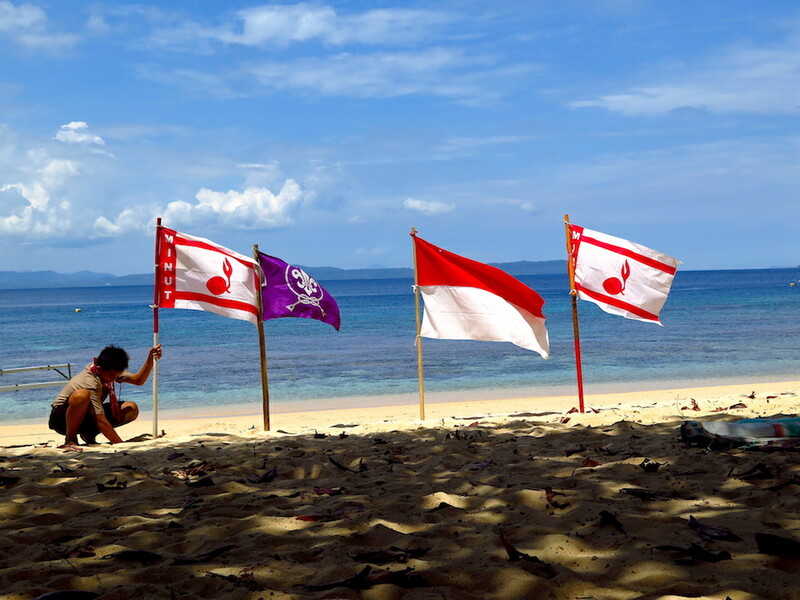 When the kids arrived from Lihunu Village for the usual Beach Clean-up Day, we asked a simple question: “Why are students from Italy and Hong Kong on Bangka Island to study corals?? 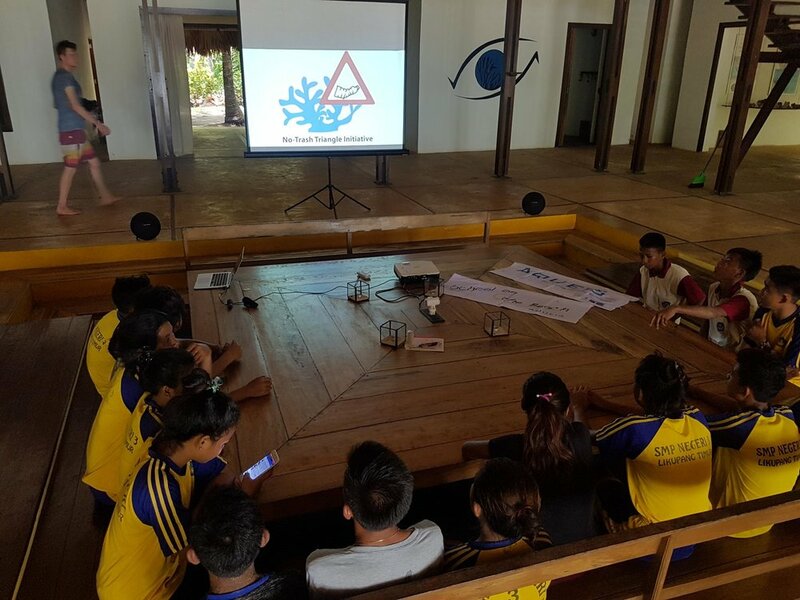 ?” (As every year, Coral Eye Resort hosted the Reef Check Italia workshop) Asking so, we explained them the meaning of “No-Trash Triangle” with the “triangle” in question being not related to geometry but to an area named “Coral Triangle” that harbors the highest marine biodiversity in the world. 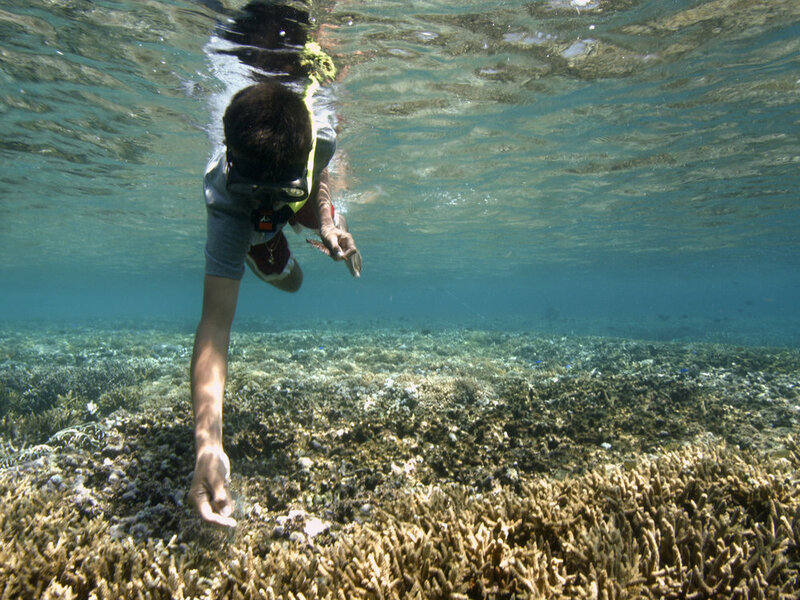 Coral reefs provide home and nursery grounds to many fish species, so we need to protect them and preserve them for example avoiding to step on them and (of course) polluting the sea with plastic. There were a bit of uncertainties related to what corals are (rocks? plants? animals?) so we ended up with a song to dispel any doubt, and then jumped in the water for a joint snorkeling with Reef Check students! “Would you step on a cat, no you wouldn’t do that! Would you step on a dog, no it would be wrong! So please, don’t step on me! Don’t you see the beauty and the joy that I bring?! I still don’t know if my expectations are always low or if simply things that happen are just great! Even if I agreed with Mr Jody to bring only 15 kids for the beach cleaning (no more, because with don’t want to interfere too much in the guests life at the resort), at 8.30 in the morning 37 kids pop up and took place in Coral Eye beach, followed by Mr.Jody’s wide smile. 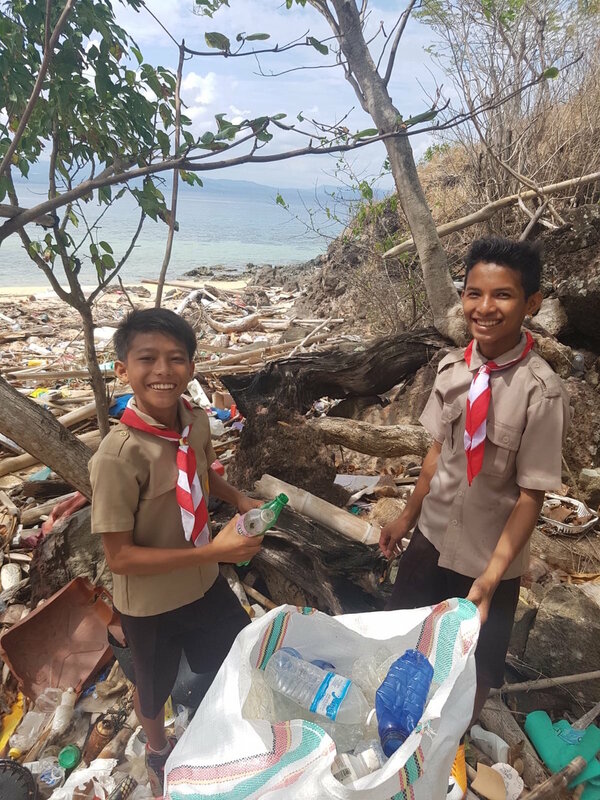 Elmar and Romeo (No-Trash-Volunteers hosted at Coral Eye) prepared a quiz to understand the level of knowledge on the plastic topic and then divided the kids in three groups: for a couple of hours we worked hard all together, collecting, sorting and cleaning trash. “Pisang goreng” (fried banana) at the end and a jump in the water…what else? 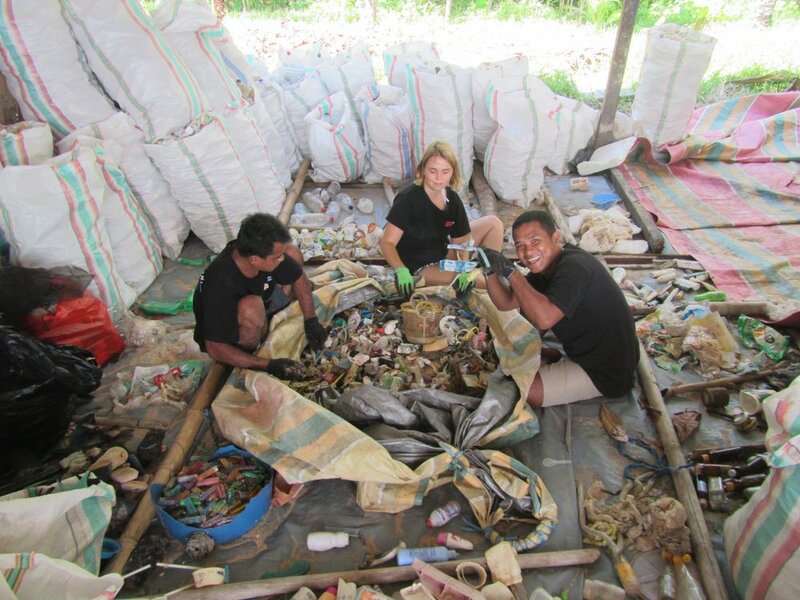 In March 2018 first action was taken with a short visit by Prof. Dr. Gilian Gerke - a waste management and recycling expert from the University of Magdeburg/Germany - and the arrival of her master student Julia Giebel. Under the guidance of this initiative, Julia and helpers from Coral Eye, Sea Souls, Murex Dive and Blue Bay Divers resorts, sorted and analyzed the stored waste that Coral Eye collected on a stretch of 100 meters of beach during six weeks from November to December 2017. First data analysis by Julia indicate that more than half of the volume is made up by single-use water bottles and cups. Many of these items were produced by major American and European companies, showing the globalization also of marine plastic pollution, of which governments and businesses alike should be more concerned. The outcome was exciting and disillusioning at the same time. The results show that over two thirds of the total weight of the beach waste is recyclable and has an, albeit low, economic value. 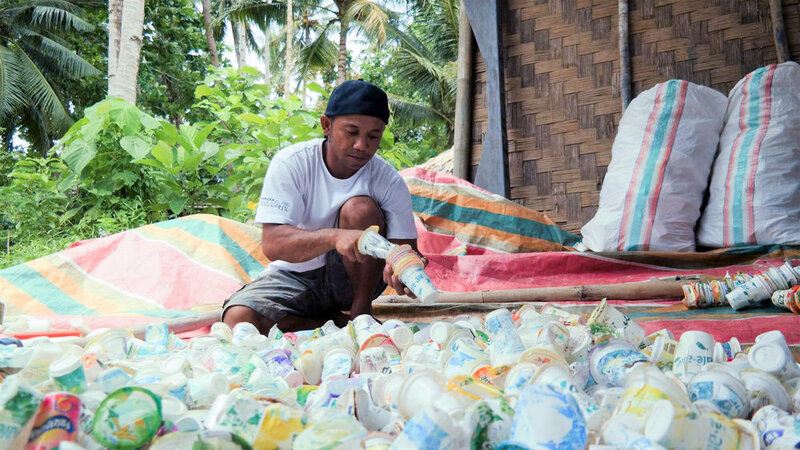 But the market value of the collected plastic is too low to allow for an economically sustainable management, i.e. it does not pay all the expenses. 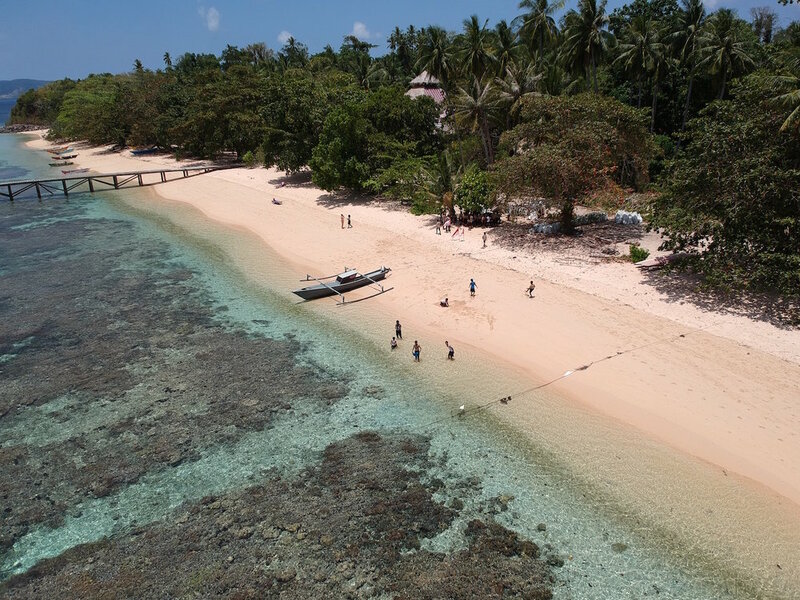 However, based on these analyses the Bangka consortium of resorts decided to start the project anyway.